• Nightcrawler > He is going fine. Since he is a very agile character, he has some cool tricks like Wall Jump and Fall recovery. Also, he will have OTG attack too, like Wolverine. Looking forward to my favorite teleporter! "Whatever Thor can't do -- Hercules can accomplish more mightily!" 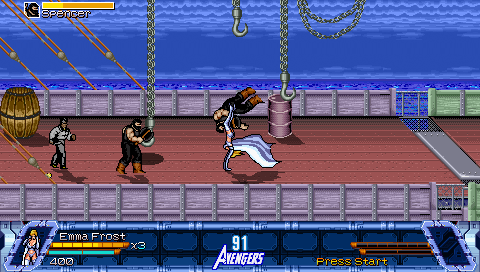 Here is the preview of Hercules for the project Avengers United Battle Force. Hercules is the classic slow and powerful character - He is kinda slow but does huge damage. He is almost a grapple only character, since he has just 2 non-grab moves - his runattack and an aerial attack. Hercules has an exclusive grab system. After grabbing, all directions leads to different moves - and you have a follow-up for almost every move. 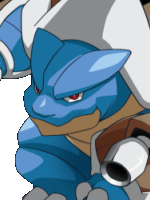 His main freespecial is and grab move, which leads to more and more grapple moves. Am I listening Devil Crash's OST? haha, excellent choice of track, mate! 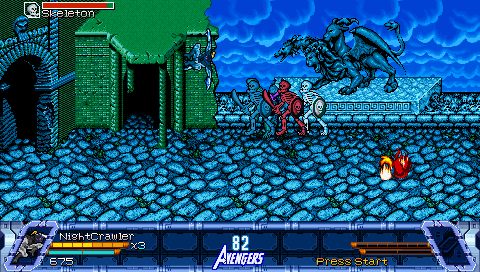 Father and Son game play showing the two new characters - Hercules (me) and Iron Fist (my son Enzo) and some updates made to that hydra stage. That's just awesome and endearing, mate. So good. I got a free time to do something I always wanted - enhance this project bonus stage. - Glasses, when broken, create shards with different animations. - The longer life glasses now have a damage animation and rotate to different sides depending on which side they were hit. 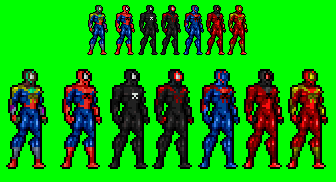 For the next release, I will include Spider-Man as a HELPER for now. On a future release, he will be playable. Probably, he will have...6 different modes, like a 6 in 1 character. This chapter will bring several new situations to the game, to make it more unique. Nightcrawler preview. He is almost done, just missing his Swashbuckler mode, where he will use his sword. Oh boy! My 2nd fave X-men looks so much fun! Can't wait to try him out. Colossus > Jhfer had finished cutting all Colossus sprites and all the palettes. Once I finish Sabra, I will start coding him. Emma Frost > This is what Is taking my time. I've decided to change somethings on her, to match more her Comics counterpart while giving some touches for each mode. Diamond Mode is receiving some new attacks too. And here comes the most loved comrade X-Men from Mother Russia: Piotr "Peter" Nikolaievitch Rasputin, the Colossus! It will be your favorite tank: The steel giant has very high attack and defense (less than Hulk and Red Hulk however), can not be stopped by weak attacks, sharp attacks and metal projectiles do only 10% damage. He will be present at the next update (still undated) and will be unlocked during the Sentinel phase. 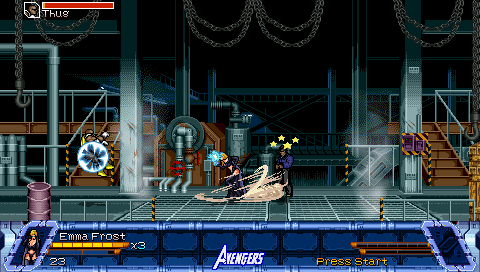 Still in the video, we have the new look of the stage of Madam Masque and one of the new helpers in action: Wiccan. And thanks for everyone for the constant support! He looks super fun. I love the sprites and the costumes. 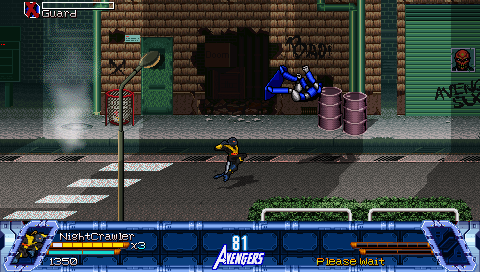 Good to see more X-men in the game. Keep it up! One of the things I've been working for this project - Super Throws. 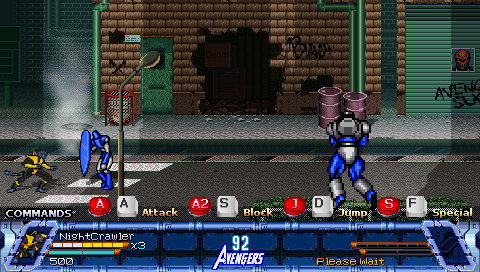 To make thinigs easier for some users - and to bypass an error I was facing - those super throws are executed with a single button (SPECIAL) press while grabbing an enemy. They does the same damage of a normal special move but costs power as such. All charactes which can grab will be able to execute those moves. This is the first part and some of them could be changed in the final product.